Crossovers and Utility Vehicles might be ruling the roost in India of late, but there is one model that failed to create an impact. 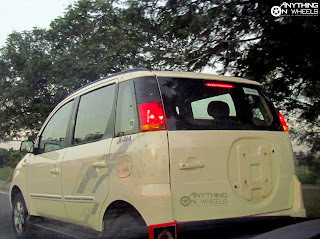 Forget about the Premier Rio, we are referring to the Quanto, a rare flop from Mahindra amidst a string of successful models from the Indian manufacturer. Though the formula of butch looks, high ground clearance, adequate space for five passengers with the option for seating two additional passengers when needed, a tractable and fuel-efficient diesel engine and feature-loaded interiors seem good, the Quanto isn't selling as well as Mahindra expected it to. Nevertheless, Mahindra isn't letting the Quanto go off the radar just yet. 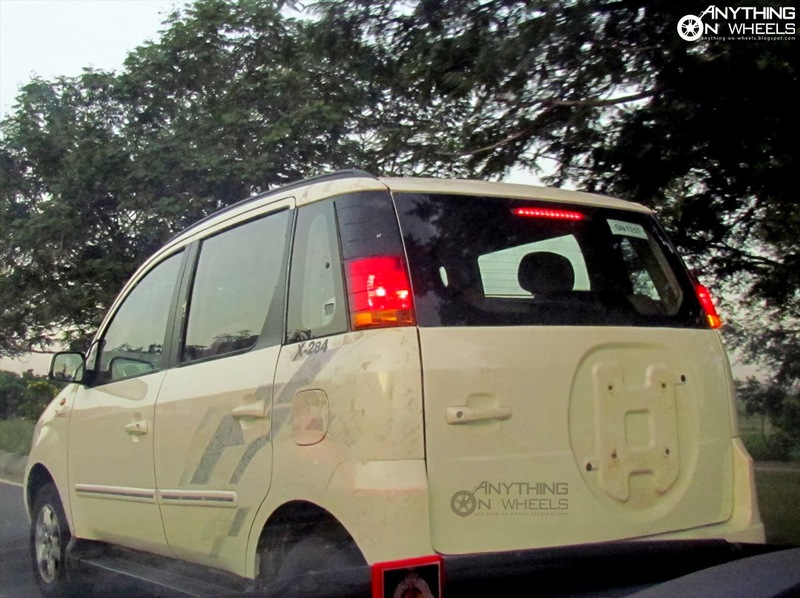 This test vehicle spotted in the Chennai-Trichy highway, a few kilometers away from Mahindra's R&D Center in the outskirts of Chennai, hints that the work on the Quanto is still on. Except for the absence of spare wheel at the rear and the presence of cheesy body graphics in profile, this Quanto, codenamed 'X-284', seemed to have nothing new at first. But, there was one little nugget that got us excited. 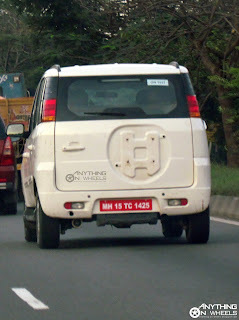 Though not clearly visible in these spy-shots, this Quanto had "Turbo" stickers prominently placed in the front fenders. 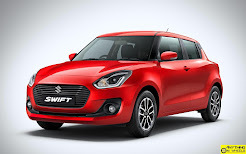 Its a known fact that Mahindra is in the process of developing two new gasoline engines, one with three cylinders and another with four, to be used in future models. Given that almost every other diesel engine in the market, including Mahindra's own mills, is turbocharged, there is no necessity to brag about it. What could this be then? Is Mahindra working on an all-new, small-displacement, gasoline engine that could come with a turbocharger to boost power without compromising fuel efficiency? 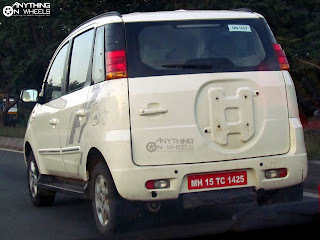 With Volkswagen's 'TSI' and Ford's 'EcoBoost' engines ensuring that turbocharged gasoline engines remain a popular choice in India and given Mahindra's recent penchant for new technology, we have every reason to believe that this Quanto is indeed testing a new gasoline turbocharged engine under its hood. Apart from the Quanto, we expect this new engine to power a host of new Mahindra models including the compact SUV that's expected to take on the Ford Ecosport. Hopefully, Quanto is super-slow. I would kie a 3 or 4 cyl petrol with 135 bhp. Hi, the Quanto in its current diesel avatar is indeed slow. But there are much slower cars in the market. What started off as a personal blog has now turned into a reliable source of recent developments in the automotive industry. All we can do apart from thanking you for taking time to read 'Anything On Wheels' is continue the efforts and maintain the same standard. Now that you are here, help us in getting more popular by sharing the link to all you know!